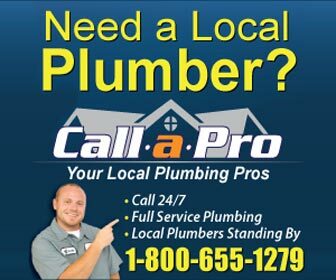 Find plumbers in North Providence, RI for all of your plumbing project and plumbing emergency needs. From water heater repair and drain cleaning in North Providence to emergency sewer repair and water leak detection - find the right, licensed North Providence plumber for the job. North Providence, as the name suggests, is just north of Providence. Of all of the towns in Rhode Island, there are 39 cities and towns in the state, it is the smallest. Central Falls is smaller but that is a city. The total area of North Providence is less than 6 square miles. In that small area there is a population of over 32,000 people. According to the census about 83% are white but if you live in Rhode Island you know that the predominant ethnicity is Italian. Surrounding North Providence are the cities or towns of Lincoln, Smithfield, Johnston, Providence and Pawtucket. In fact when I met my wife she lived in Pawtucket but the garage for her parent’s home was in North Providence. This is a small state and sometimes there are strange boundaries. One of the most notable people to come from North Providence was the great basketball player Ernie "D" (DiGregorio). Many years ago when he played for Providence College the NCAA tournament featured Providence and Memphis in the first semi-final game. Ernie "D's" teammate Marvin Barnes hurt his leg in the first half and Ernie "D" fouled out in the second half but had they both survived to the end of the game they would have faced one of the great UCLA teams for the national championship. I believe they had a good shot of winning and for a small college in the smallest state that would have been quite an accomplishment.